I usually make stir fries from scratch (sauce and all) but there are some nights when I get home and frankly I can’t be bothered. 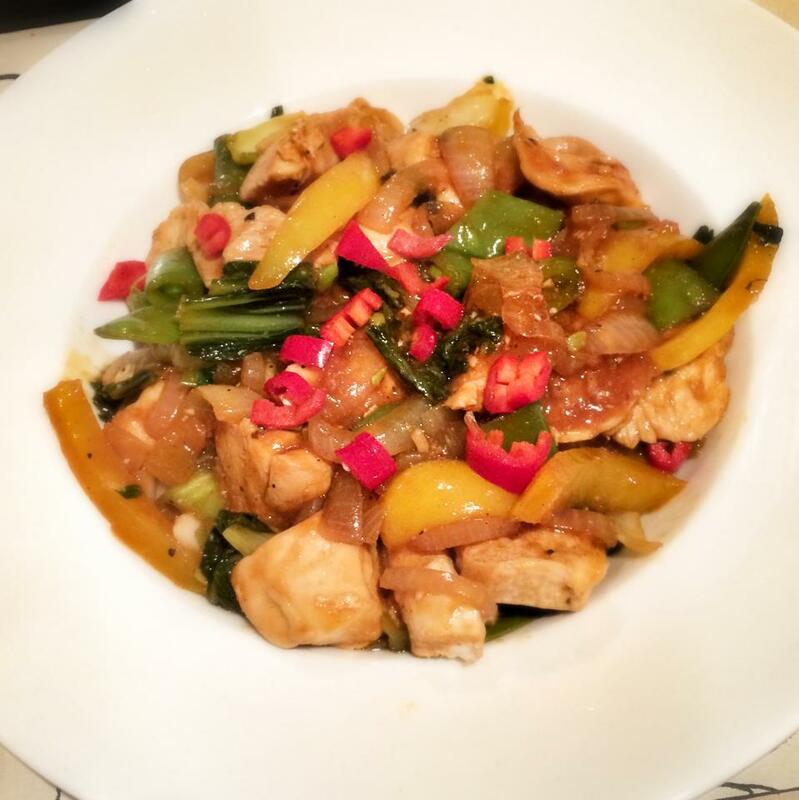 I have been searching for something quick and easy to fix this for a while now and not found anything that took my fancy, until my friend suggested Asda’s fresh stir fry sauce mixes to me. They are nice and cheap (£1 each) and there is quite a variety to choose from. Knowing we had a busy two nights ahead, I picked up enough of everything to have stir fry two nights in a row and bought the Szechuan Sauce and Cantonese Sauce to mix things up. Now I’m under no illusions that this is something new!! However I thought I would share my way of dressing it up to take the taste to the next level! I served the Szechuan sauce with egg noodles and the Cantonese with basmasti rice. Both were lovely, I preferred the Szechuan and my OH preferred the Cantonese! Pop the chicken into a large wok or frying pan, spray with 1kal and fry until cooked. Remove from the pan and pop to one side. In the same pan add the onion and pepper, stir fry for a few minutes (I like my onion soft so I do it for 5-7 minutes), then add the garlic and ginger and fry for another couple of minutes. Next add most of the packet of the stir fry sauce and stir through, then add the chicken back to the pan. Lower the heat, cook for a few minutes and then add the pak choi, making sure it is a little submerged in the sauce so it cooks nicely. Then add the spring onions , coriander and the juice of one of the lime quarters and stir through. Serve with either a small portion of rice or noodles (to both I added a splash of soy sauce) (remember to add the points, I did 40g of rice for 4sp or 85g of fresh egg noodles for 4sp). Top with chilli and pop the extra lime on the side for serving. I work on Weight Watchers magazine and I’m trying to find the best way to get in touch with you regarding your recipes. Can you send me an email? Thanks so much!